A year ago, I taught our then-brand-new Editorial Assistant, Jenna Fear, to spin yarn. Working at Spin Off makes learning to spin essential. 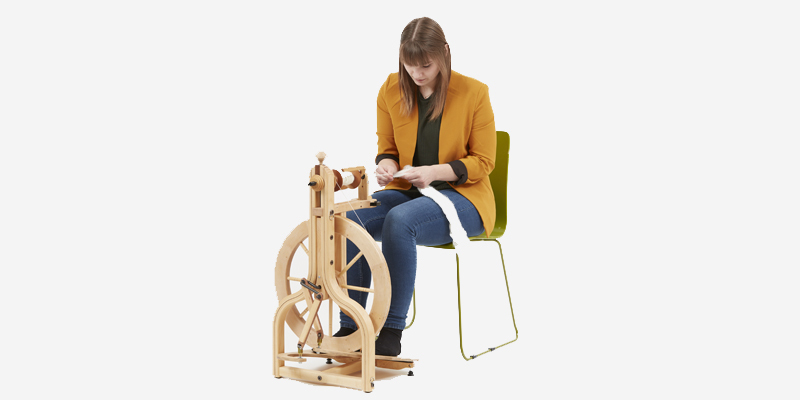 To learn to spin, I tossed Jenna into the deep end and sat her down in front of a spinning wheel before teaching her on a spindle. Allison’s first yarn. Photo by Allison Korleski. The uninitiated might think, “I already have too many hobbies!” But spinners know that learning to spin your own yarn for knitting, crochet, or even embroidery only enhances your other crafts. 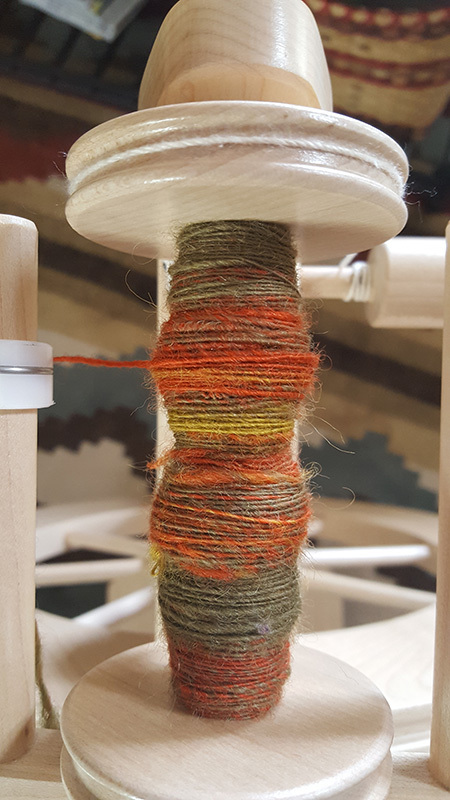 In Getting Started on a Drop Spindle, longtime Spin Off contributor and spinning teacher Maggie Casey explains, “Nothing you ever buy at the yarn store will be as wonderful as your own handspun yarn.” True words, indeed! Luckily, you don’t need a spinning wheel to get started. Learn to spin on a drop spindle. 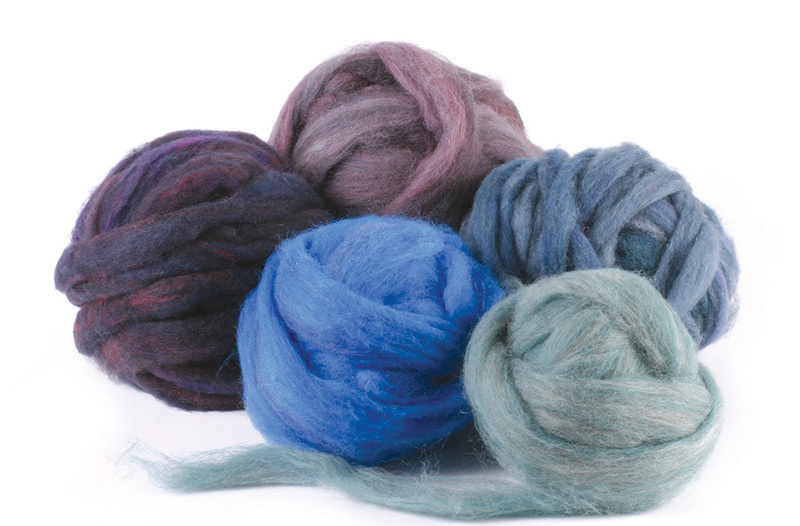 Whether you’re a seasoned spinner who wants to teach a friend to spin or a knitter excited to learn to spin from an online course, such as Maggie’s Getting Started on a Drop Spindle, you’ll just need a couple of affordable basics to begin making your own handspun yarn: a medium-weight spindle and wool roving. In the course, Maggie covers how to spin singles, make a 2-ply yarn, and “finish” your handspun yarn, which is just a fancy way to say wash it to set the twist. Voilà! You’ll have a one-of-a-kind skein of yarn and an experience that connects you with all of the handspinners who’ve came before you. Priceless! Wool roving is easy to draft, which makes it perfect for beginning spinners. Photo © Interweave. * aspinnerate (verb): to teach and/or enable a new recruit in the craft of handspinning yarn. Origin and etymology: from assimilate + spinner. Featured Image: Jenna Fear, Spin Off’s editorial assistant, spinning at a wheel. Photo by George Boe. Get started spinning with Spin Off!